Here in Australia, various government departments and authorities require non-English documents to be translated into English by a NAATI accredited translator. Translators who are certified by NAATI are those who have proven themselves to be reliable and qualified in providing high quality and accurate translations. Perth Translation has employed NAATI translators who can handle your project and provide you with the best translation of your diploma certificate. We guarantee that your documents will be accepted by any government department or authority requiring NAATI diploma certificate translation. Contact us today. Use the translation quote form on this page and submit a photo or scan of your document. We will assess your diploma certificate and send the complete quote in less than 15 minutes. Try our services today; we’ll be happy to assist you with your translations. Our average turnaround time for a diploma certificate translation is 2 to 3 working days with our Standard diploma certificate translation. If you are rushing, you can always count on our Urgent diploma certificate translation and receive the finished document in just 24 hours! Trust our NAATI translators to meet your requirements and produce satisfactory results with what’s reliable, accurate and consistent. Our diploma certificate translation can assist you in applying for jobs, getting a visa and many more. We have expert linguists in translating your document to any foreign language. With our diploma certificate translation, your documents are translated with ease and convenience on your part. You can pay for your translation order online using PayPal, credit cards and bank transfer. Focus on the more important tasks and leave the translation to us. We’ve created our online platform to allow you to send your document, get a free quote and receive your translation in just a few steps. Say goodbye to the heavy traffic and get your document translated in no time. Anywhere you are, and anytime you want, you can avail of our translation services. For just AU $69, you will get a quality diploma certificate translation that has a NAATI stamp. For every translation, we assess the document beforehand and provide quotes based on your document’s length, language and deadline. Fill in the free translation quote form on this page and get a firm quote absolutely free! Scan or take a photo of your document and submit it via the translation form located on this page. In 15 minutes, check your email. We will send you the firm quote for your diploma certificate translation. Confirm your order and process your payment. Once we verify your payment, we will start the translation process. You will receive the finished translation via email for the soft copy and by Australian post for the hard copy (if needed). As such, do let us know if you require a certified hard copy of your diploma certificate translation so we can send you one. What’s the difference between a Diploma and a Degree? A diploma is a certificate that’s issued to a student by an educational institution. A person is given a diploma once he or she passes an examination after pursuing a specific course. Most often, it will take you 1 to 2 years to complete a course to get a diploma. On the other hand, a university or college awards a person a degree certificate one he or she completes his studies successfully. 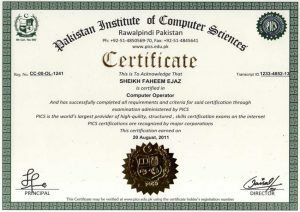 A 3 to 4 years’ timeline is needed to get this specific certificate. The translation quality is superb. I love that they translated my document accurately and fast. I’m going to come back again for my next translation seeing how good they translate documents.